The term “schizophrenia” comes from the Greek “skhizein” = to split and “phrên” = mind; it means literally “splitted mind”. Schizophrenia exists in every part of the world, probably since several thousand years. However, it is only towards the end of the 19th century that it was recognized scientifically as a well-defined disease – and that its origin and treatment began to be investigated. It owes its name to the Swiss Eugen Bleuler, professor of psychiatry in Zurich from 1898 to 1927. 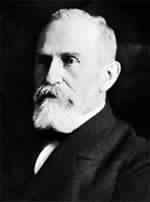 In 1911, in Dementia Praecox or the Group of Schizophrenias, he refutes the designation “early dementia” introduced by Emil Kraepelin (German psychiatrist considered as the founder of modern scientific psychiatry), and replaces it by the term “schizophrenia” to illustrate the idea of a fragmented mind.